Today’s step-oust are loosely based on a Robin, but are generic enough that you can easily make changes and populate your fantasy landscape with all sorts of birds. 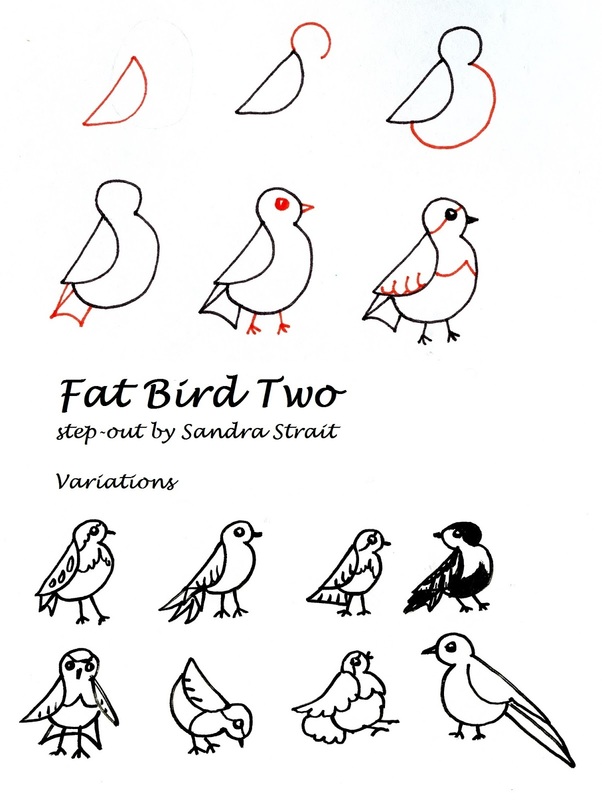 I think Fat Bird One is probably easier to draw, but Fat Bird Two is cleaner in appearance. 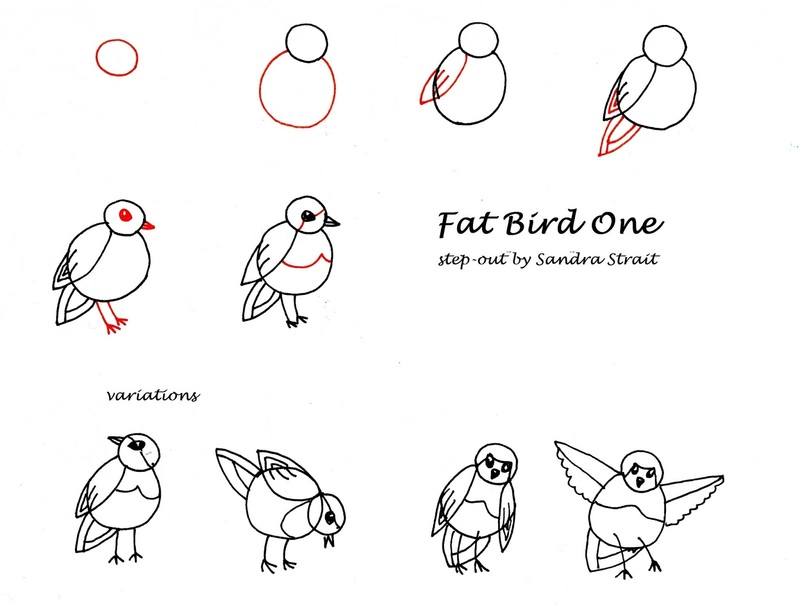 Play around and come up with your own fat birds! And notice how these bird is built on roundish and triangularish shapes. Yes, I know. I just invented a word. It exists in my fantasy world.